Posted January 31, 2013 by Jason Marshall & filed under City Hub. It’s no secret. Sydney’s live music scene has been slowly strangled to death over recent decades by overzealous planning restrictions, unfair noise complaints, poker machines and urban gentrification. In the past few years alone the Hopetoun Hotel shut down, the Sandringham Hotel went bankrupt and the Excelsior Hotel was turned into a taco barn. These, and numerous other closures, have lead to an over-competitive environment for musicians. That is the verdict on Sydney’s live music scene from James Fox, who has had over 10 years experience in the city’s music industry, heading up bands Bishop’s Robes, Rich Uncle Skeleton and Sargent Sapphire. Mr Fox said the industry is small and there are few places to get any solid work as a musician of any variety, whether you be a sound engineer or a live performer. “It’s such a tiny little club; you have to wait for somebody to die to get into it or you have to know somebody,” Mr Fox said. Some bands will even steer their fans towards the beer gardens rather than watching other bands. “It’s so fiercely guarded because there are so few people in the industry side of things; there’s very little community in the music community,” Mr Fox said. Most venues take a cut of ticket sales but do very little promotion for the bands. “A little bit of government capital injected into the actual scene would work really well, but most musicians are under the impression that the government hates the arts program,” Mr Fox said. 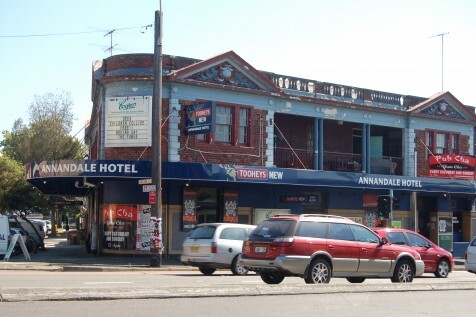 With the Annandale Hotel still hanging on by the skin of its teeth, the Labor Party at the last local government election announced a proactive live music policy to turn around the decay. City of Sydney Labor Councillor Linda Scott said Council should be doing more to ensure Sydney had venues where emerging musicians and local artists can perform. Labor has a two-pronged solution; a public and venue education program, and a suite of policy and regulatory changes. “Part of it is educating the community about the fact that when they choose to move into an area,” Ms Scott said. “If there are already live music venues there, that will mean some noise, and that is part and parcel to living in the inner city. There are venues in Sydney that are not operating to the letter of the law, but could if the development process was clarified for them. Laws pertaining to the order of occupancy can be reconsidered to give venues protection from residents who move next door to an existing establishment and proceed to make noise complaints. However, not all residential protections would be removed. “Obviously if people make noise complaints about noise issues that are outside the times that the venue is licensed to operate or they’re really acting quite unreasonably, the Council needs to look at those,” Ms Scott said. Ms Scott is adamant the city’s festivals should be better geared towards young and emerging artists, ensuring large crowds hear their music.